The pharmaceutical industry has had more than its share of ethical challenges. 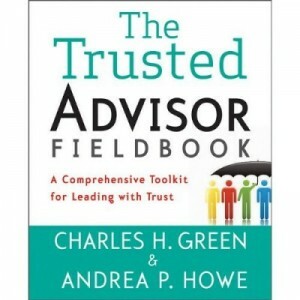 It is not viewed by most people as harshly as the financial services industry, but most trust surveys will show it ranks near the bottom of industries in terms of trust. I find this particularly ironic, because a great number of employees of pharmaceutical companies are genuinely and sincerely committed to bettering the lives and well-being of patients, and of supporting the physician and hospital markets. Some of them are self-deluding, but not all; and they have much data to back up their beliefs. At the same time, the geography of the pharmaceutical industry is fraught with slippery slopes. When does supporting research cross the line into suborning favorable opinions? When does patient education become patient brainwashing by TV ads? Where is the dividing line between quoting opinion leaders and wining and dining them while soliciting the quotes? These questions are every bit as challenging as questions about marking to market in the absence of transactions, or about the line between consumer choice and engineered addictive foods. In Pharma, it is never easy to distinguish where the plain ends and the mountain begins. Which is why Johnson & Johnson, for so many years, made it look easy. First of all, they are not primarily known as a pharmaceutical company. Instead, they are known for two things: baby powder, and the iconic Tylenol response. They still teach cases in business schools about J&J’s quick and forthright response to a case of Tylenol tampering at the retail level umpteen years ago. Second, and more important, they are known for the Credo–a set of beliefs articulated by Robert Wood Johnson in 1943, frequently quoted, and posted in front hallways of the company’s buildings in hometown New Brunswick, New Jersey (and I believe elsewhere as well). I and many others have cited it as notable for making shareholder rewards the result of, rather than the purpose of, serving customers and community. J&J got corporate social responsibility and customer focus literally decades before other companies did. Then, things changed. Or to be more clear, it suddenly became apparent that things had already changed. First, the company announced another recall, including Benadryl, Motrin, and–again–Tylenol. Problem is–the recall was a result of complaints starting 20 months prior. This was the exact opposite of the promptness for which Johnson & Johnson had become known in Round One. But that’s not all. On the same day, the Justice Department filed charges against Johnson & Johnson for a fairly simple, in-your-face, kickback scheme. The federal case joins a whistleblower suit filed by two former employees of Omnicare, the company to whom the kickbacks were paid. Whistleblowers, Justice Department, kickbacks. Say it ain’t so, Joe. What’s it Mean When a Leader Falters? It is troubling when the pharmaceutical firm with the most clearly positive image for ethical and consumer-friendly behavior gets serious egg on its face. It is even more troubling that the nature of these offenses directly contradict the reasons for the previous good reputation: namely, transparency versus subterfuge, and timeliness versus foot-dragging. This is not a PR problem, at least not in the main; it is a contradiction of values. This is the corporate version of Tiger Woods. But most troubling of all, to me at least, is the besmirching of the Credo. 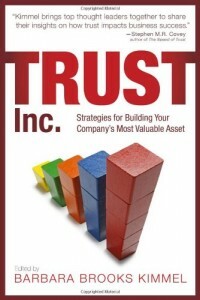 That was as well-written a document as I am aware of in the corporate world. I know people at Johnson & Johnson who speak about the importance of the Credo; I know others who know the firm more directly, and who are much more outspoken about the values-driven nature of the firm. Now I feel stupid, and those others look like dupes. This incident has ramifications well beyond the negative press for Johnson & Johnson. It is a failure of culture, and has to call into doubt the sincerity and the power of other companies’ programs for values-based leadership. It fosters cynicism, an emotion already in serious oversupply in and around business. And absolutely worst of all: I’ll bet big bucks that nearly all the wrongdoers on the J&J side don’t see anything wrong with what they did. I’ll bet we’ll hear phrases like "technical distinctions," "reasonable people can differ," and "narrow definitions of the law." Sometimes it looks dark out not because it’s night, but because your head is stuck where the sun don’t shine. And that’s a form of blindness that is catching. I find that all pretty depressing. I welcome comments in particular from TrustMatters readers in the pharma industry. How are you feeling about this? Good management is found in truth, honesty, transparency and ownership...not so much in a process set-up.